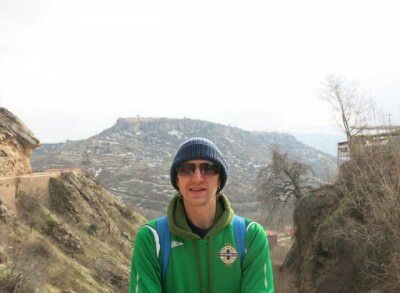 When life takes you to a place as unique and magnificent as Amadiya in Iraq, you might just need to pinch yourself and check it’s all real. It was. 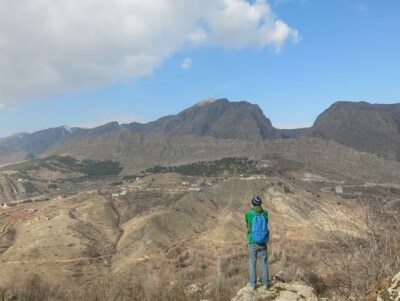 After getting an Iraqi Kurdistan visa on arrival at Erbil airport and touring the northern part of the country, it was time to check out Iraq’s mountains (Iraqis call the whole thing Iraq, Kurds call their region Kurdistan). Yes folks – Iraq is beautiful. You can travel through roads that take you past immense and immaculate mountain ranges without an army patrol in sight. 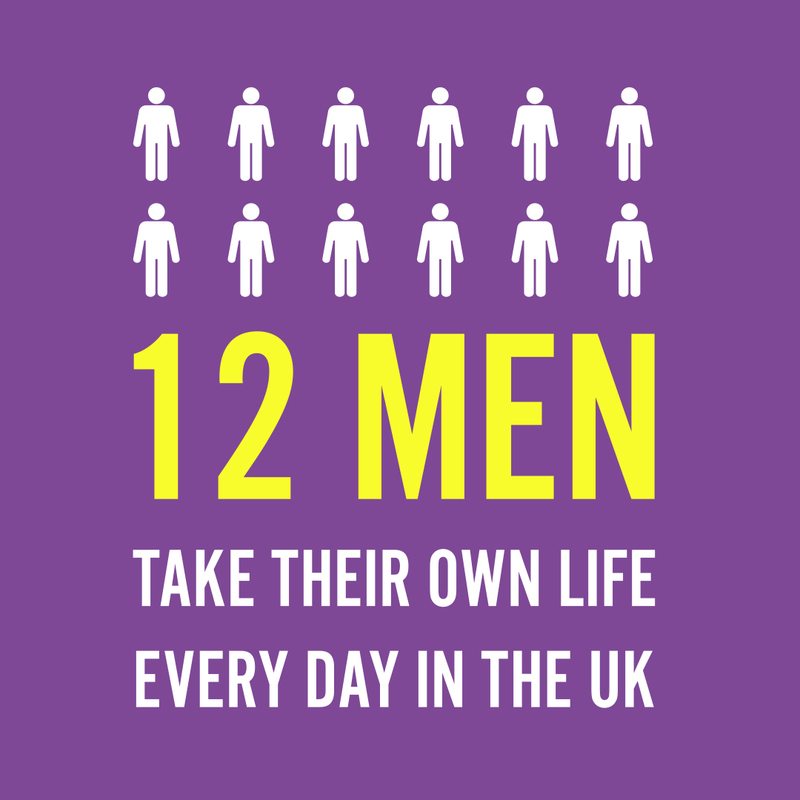 And shock horror – it’s safe as houses. Central Amadiya, Kurdistan, Iraq. Safe as houses. 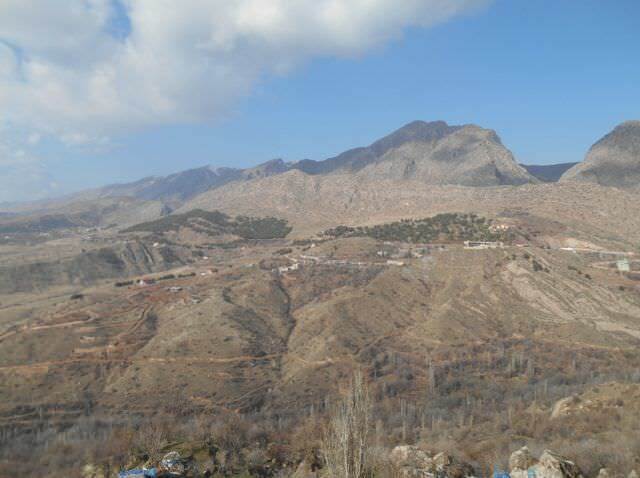 It is a Kurdish and Assyrian mountain village in northern Iraq – Kurdistan region. It sits proudly on a mountain top and dates back to the year 3000 BC. It sits an astonishingly close 10 miles from the Turkish border. The village has been rumoured to have been part of the Persian Empire and was a semi autonomous region for a period lasting from 1376 to 1843. 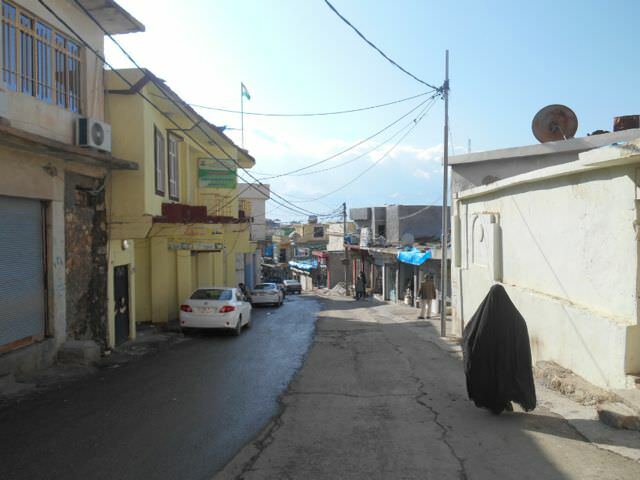 These days Amadiya is governed by the Kurdish government but ultimately controlled by Iraq, from the capital city of Baghdad. Christians and Muslims live in harmony inside this marvellous lofty village. The current population of Amadiya is rumoured to be around 4,000. The views into the valleys from Amadiya in Kurdistan, Iraq. On the day we did a mixture of 2 and 3. But hitch – hiking is not always safe, even in Iraq, so bear that in mind (we had no qualms though) so my advice on getting to Amadiya is to get a taxi. You should ideally base yourself in the town of Dohuk. We did a mixture of taxis and hitch hiking on our day out to Amadiya. 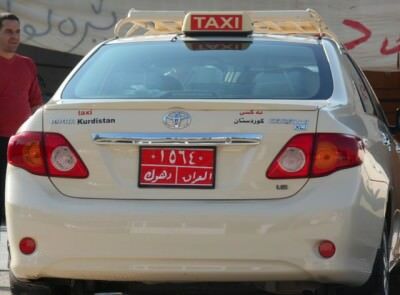 A Kurdistan taxi. This is actually very easy. 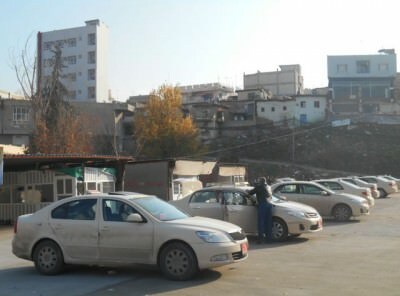 In Dohuk, head to a street called Cinema Street, on the other side of the road, if you look down you will see a car park with buses and taxis. This is the “Garaj” as they call it. From this “Garaj” in Dohuk you can get a shared taxi all the way to Amadiya. 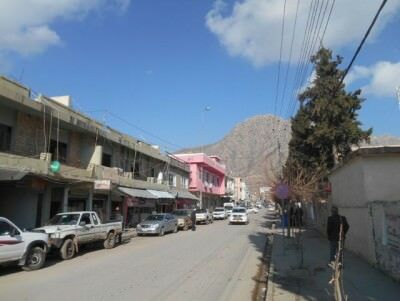 The Garaj in Dohuk which is where you can get a shared taxi to Amadiya. Taxis will leave when they are full and as of January 2014 they cost 8,000 Iraqi Dinars per person. This works out at about 4 pounds each for a taxi there. If you are rich and really cannot wait, you can pay more and just take the taxi with the driver as the only other person inside. 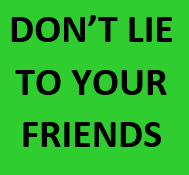 We shared with one other guy that day as there just weren’t many people about and so we had to pay 10,000 Iraqi Dinars each. 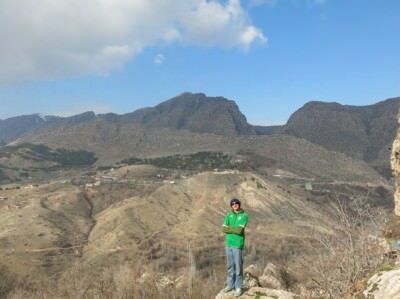 This is me with Amadiya in the background – it’s the big town on top of the mountain! The drive from Dohuk to Amadiya is sensational. All you didn’t expect. Iraq’s mountains are beautiful. You will be on a very smooth road through the valleys. Views out either side show the mountains and the mountain villages. Views from our shared taxi over the northern Iraq mountains of Kurdistan. 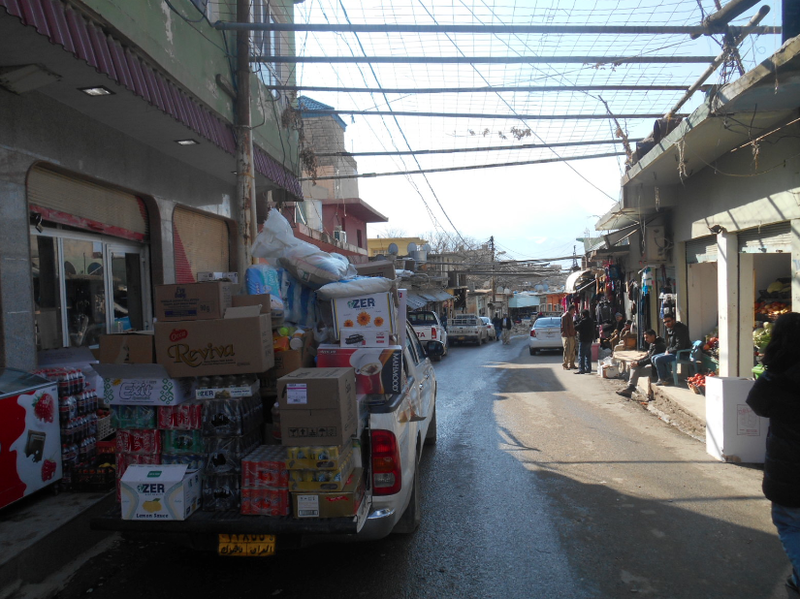 The journey from Dohuk to Amadiya takes around 1 and a half hours depending on traffic. It’s not all twists and turns and it’s probably about 70 kilometres of road. 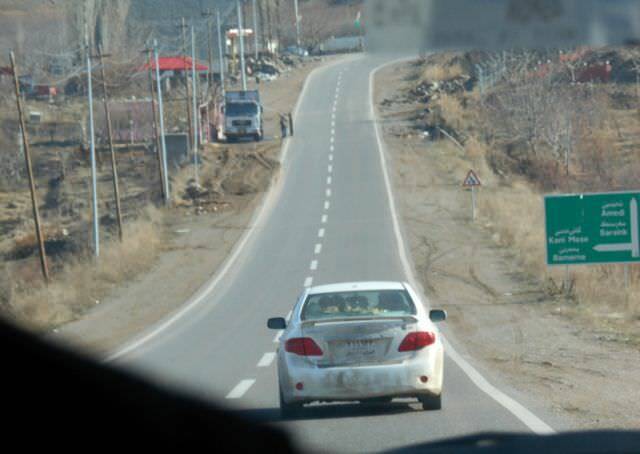 Road signs state 60 km between Dohuk and Sulav, while the Lonely planet offers 65 km. 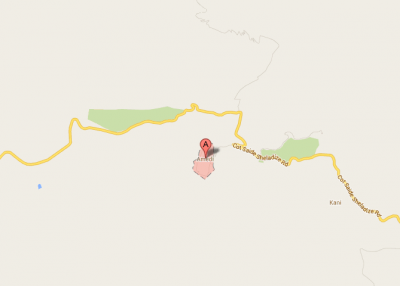 Another local map says 90 km…it’s hard to know! The Road to Amadiya, Kurdistan, Iraq. You’ll be dropped off in downtown Amadiya, Kurdistan, Iraq. On the grand scheme of things, Amadiya is a fairly average town. It has all the usual amenities – a shop – a police station – a youth club – a sports shop – restaurants and a main street. However it’s on top of a mountain and that is why it’s magical! This is the town centre of Amadiya – it’s on a mountain, and it’s surrounded by mountains. There are also a few statues and a large Kurdistan flag flying from a roundabout in the village centre. Wandering around at your leisure is a good idea to get a feel for the village. I loved the fact that a car that had a proud USA flag. 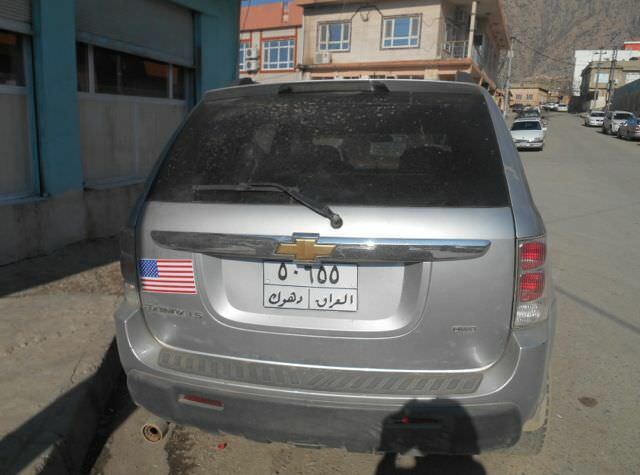 It’s really not anti-American here in the Kurdistan region of Iraq! A US flag on a car in Amadiya – Iraqi Kurdistan!! The central focus of the actual town is of course the Mosque/Masjid. As tourists sometimes flock here, there is a sign written in English inside the Mosque. The Amedi Mosque is hard to miss due to its towering Minaret – the highest point in the village. 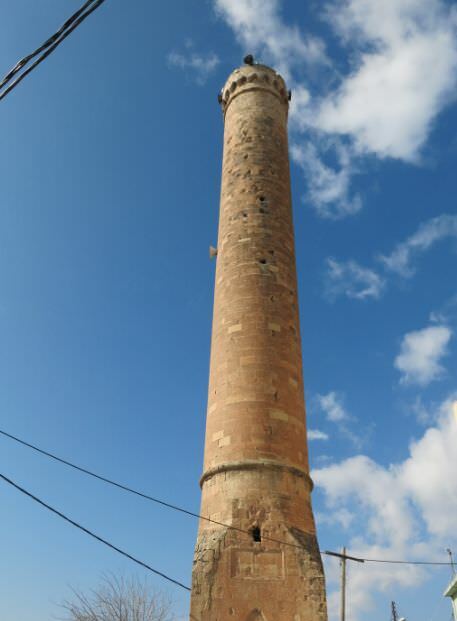 The Minaret at the Mosque in Amadiya – it towers over the town. If you do become unsure, just ask locals for “Masjid” and they’ll know you mean Mosque. The Mosque is mostly green in colour. 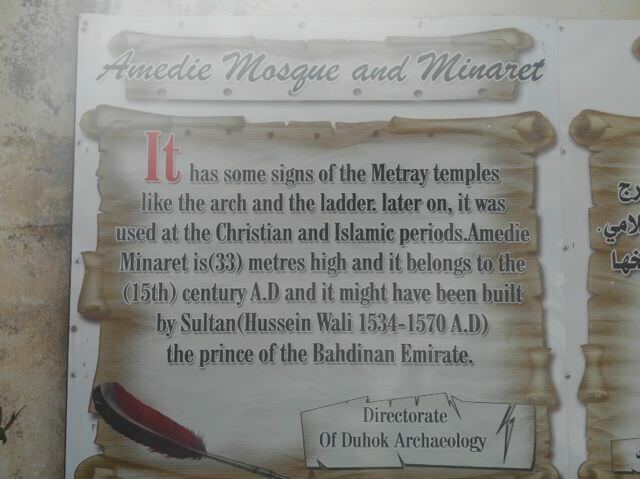 The information board in English at the Amedie Mosque and Minaret in Amadiya, Kurdistan, Iraq. You can walk inside the Mosque grounds no problem. If you want to enter the actual Mosque – wear a hajib for females and no shorts/skirts etc. Plus shoes must be taken off. 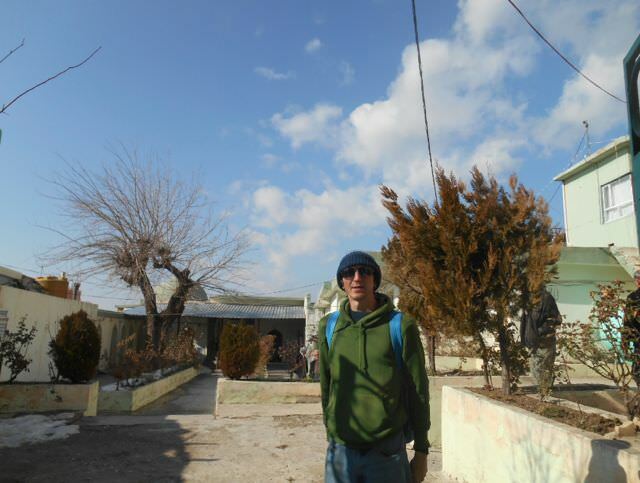 At the Main Mosque in Amadiya, Kurdistan, Iraq. This is the real reason why you’re here. 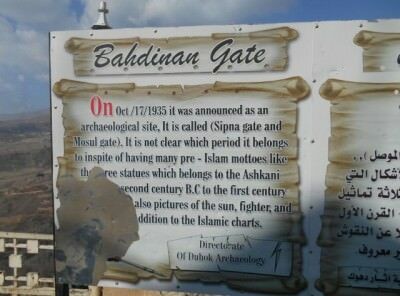 The Bahdinan Gate is the only significant reminder of the ancient fortress city which once existed here. Modern housing blocks have taken over and the old walls have crumbled. The entrance sign to Bahdinan Gate in Amadiya – this area contains the only remains of the once massive fortress. 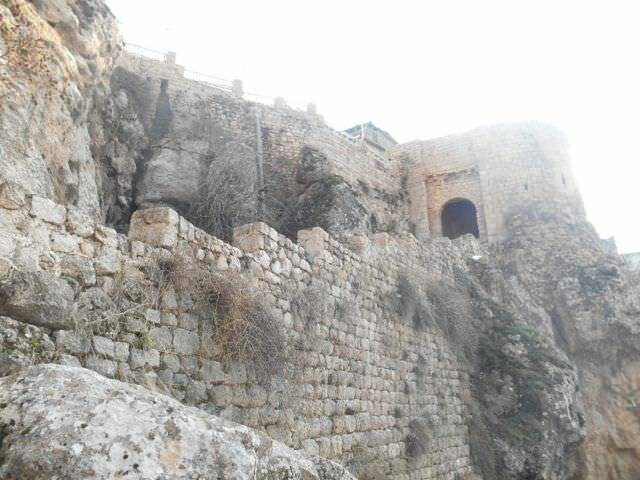 Head on your way down the streets of Amadiya until you find the Bahdinan Gate. It’s on the Sulav side of the town towards Dohuk, but it’s a good idea to carry a photo of the Gate (the Kurdistan tourist map has one, as did the Lonely Planet copy we had with us). This will make it easier to find. Through the gate at Amadiya – the Eastern Gate/Bahdinan Gate. Most locals will stop and help you no problem. A lot of them will also be happy and shocked to see foreigners in their town. The day we went we were the only two foreigners. The walls and gate of magical Amadiya, Kurdistan, Iraq. And then we met a father and his two sons. They are Iraqi Kurds from Amadiya, but the father saw fit to move the family out of Iraq during the bad times. 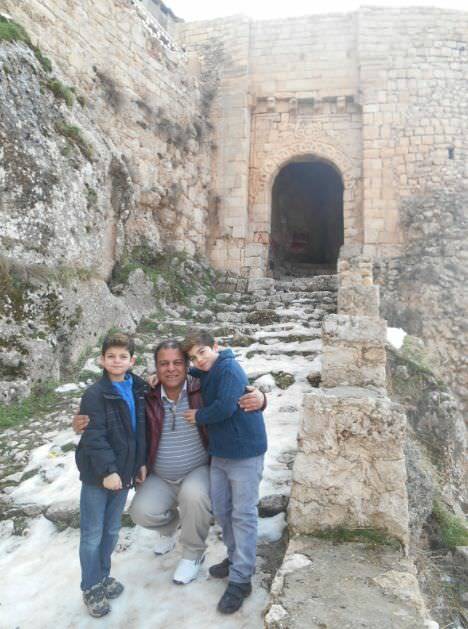 Posing on the walls of Amadiya with the two young Kurdish kids who now live in Sweden! The family now live in Sweden. The two boys spoke English to us and were happy to see us! So in essence these guys were foreigners too…though the kids are learning Arabic, Swedish and English. The family we met at Amadiya – they now live in Sweden. 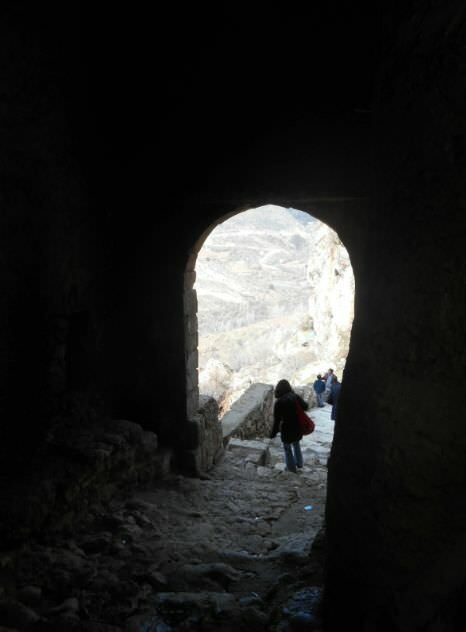 Once you get to the Gate, it’s basically a path way down to an arch, you head in through the arch for excellent views and you’l be on the path around the walls of what was once a fortress. 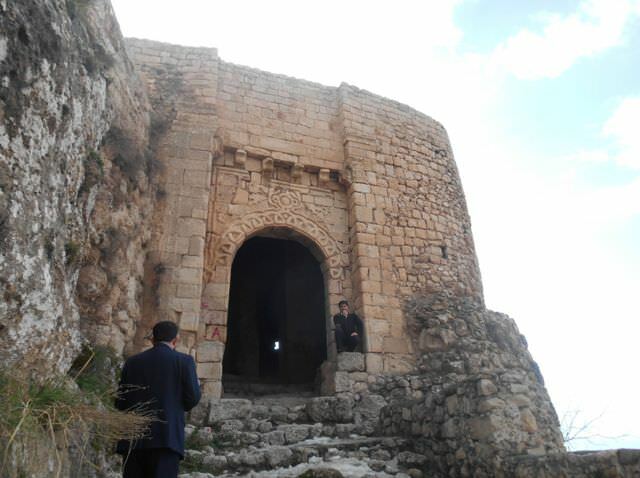 The walls and entrance to ancient Amadiya in Kurdistan, Iraq. 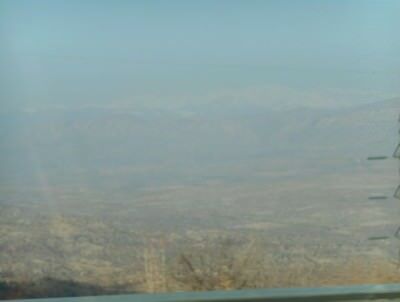 Loving the immense views over northern Iraq’s countryside from Amadiya in Kurdistan!! We hitch hiked with two local guys from Amadiya to the town of Sulav. They were very happy to give us both a lift – and really friendly. The bonus was we got to see Sulav and also got a free ride. In Sulav we flagged down a single guy in a car and that was a guy called Jehat. 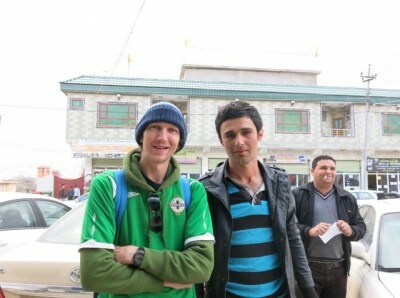 He worked in the oil industry and had friends from Scotland and China so he was able to chat away to us in English and really welcomed us to Kurdistan. Jehat gave us a free ride to Qadash. With Jehat, the cool Kurdish guy who gave us a free lift from Sulav to Qadash on our way back to Dohuk! From Qadash we got a shared taxi with 2 other guys (one called Reber – a top lad). 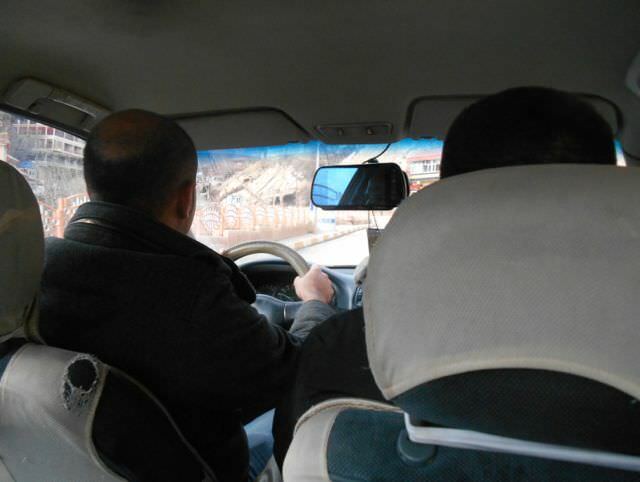 This taxi took us all the way back to downtown Dohuk and cost us 6,000 Iraqi Dinars each. Not too bad. When you see a view of mountains and landscape such as this, you will know why I called Amadiya “Magical”! 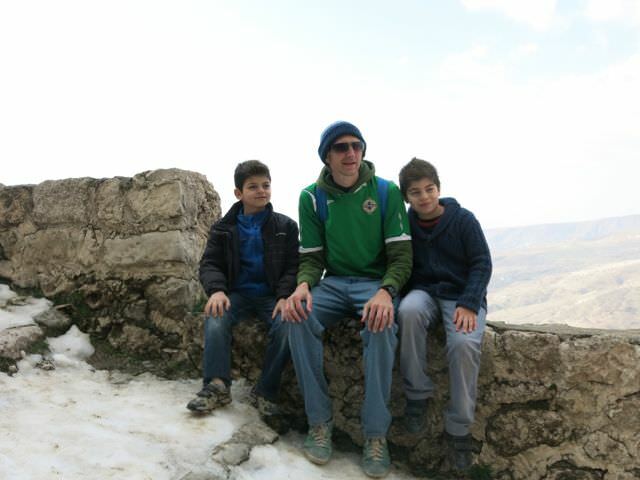 All in all, the ancient mountain top village of Amadiya was a really cool day out. I’ll write about Dohuk and Sulav separately, you can also check out my posts on getting an Iraqi Kurdistan Visa and what to eat in Dohuk. 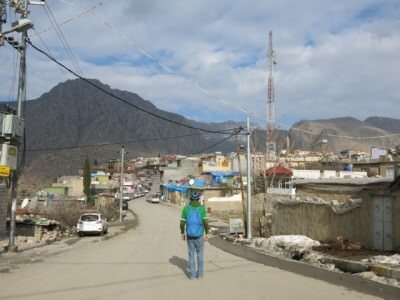 This entry was posted in Amadiya, Central Asia/Middle East, Destinations, Iraq, Kurdistan. Bookmark the permalink. 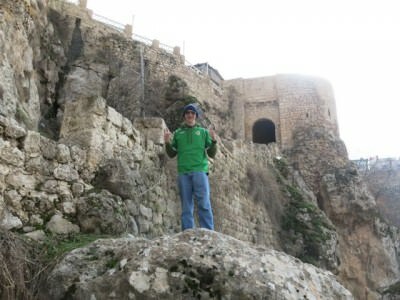 As always Jonny it is great to see you go to new places and places that other travel bloggers rarely explore. I’ve often heard that Kurdistan is very safe and totally unlike the main Iraq. 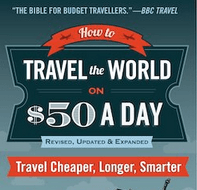 You provide a great insight to life there and you are to be commended for your approach of going off the beaten track.